I set up a node on the Bitcoin Lightning network and sent a payment of $0.005 which confirmed in a few seconds. One of the largest obstacles (second only to privacy in my opinion) to widespread adoption of Bitcoin is its limited volume. Bitcoin cannot faciliate payments fast enough such that it could compete with Visa or Mastercard. The most interesting solution to this problem is the Lightning protocol - a separate protocol that sits ontop of the Bitcoin protocol (a so-called ‘Layer 2’ solution). Lightning uses hashed time locked contracts (HTLCs) to trustlessly and privately move transactions off-chain. This allows payments to be faster, cheaper and more frequent. It also has interesting implications for enhancing privacy. Anyway, I’ve opened and closed some channels, connected to peers, and made some transactions. 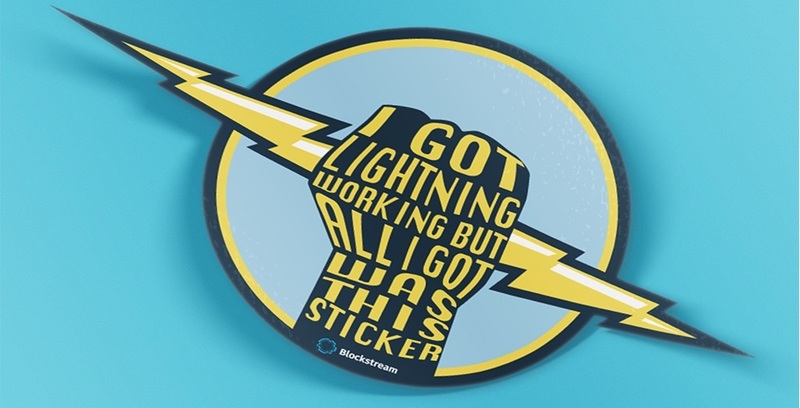 I even bought some stickers using Lightning!